Food is Free Project is a 501c3 non-profit and all contributions are tax deductible. We can change the status quo together. It starts with you on your block. Take the first steps. Plant a front yard garden. Start having conversations about growing food together and transforming our communities. Are you a part of the rapidly growing digital currency user group? 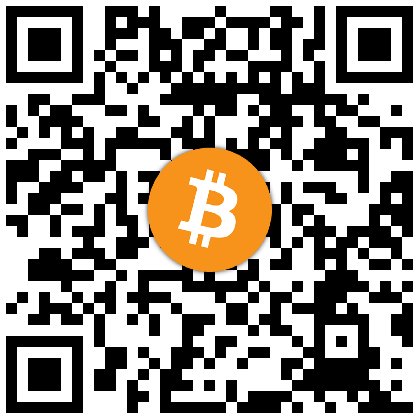 We can now accept BTC to further our mission. Every Satoshi helps. Not familiar with the term Satoshi? It’s the smallest fraction of a Bitcoin that can currently be sent represented as 0.00000001 BTC and named after Satoshi Nakamoto who wrote the original Bitcoin whitepaper. You can donate BTC by sending to 1E92UhN3LQneHsxXz9Njz48AZ59ETJdMhF or use the QR code above. Contributions of new or used tools, building materials, land, transportation, education, or other goods and services are highly valued. If you would like to make a contribution, post items in our Food is Free Community Exchange or email us at info@foodisfreeproject.org. If you have any of these items to contribute, please indicate on the Supplies and Services donation form to the left!